Tiaina Baul 'Junior' Seau is widely considered one of the best linebackers ever to play the game. A ten-time All-Pro and twelve-time Pro Bowl selection, Seau was picked for the NFL's All-Decade Team in the 1990s. His incredible career spanned two decades, during which time he played for the Chargers, Dolphins, and Patriots. In 2012, at the age of forty-three, Seau committed suicide with a gunshot wound to the chest. News of his death sent shockwaves through the NFL. Later, studies concluded that Seau had been suffering from chronic traumatic encephalopathy, a type of brain damage. His tragic death opened the door to hundreds of inquiries about the trauma from NFL players and their families. 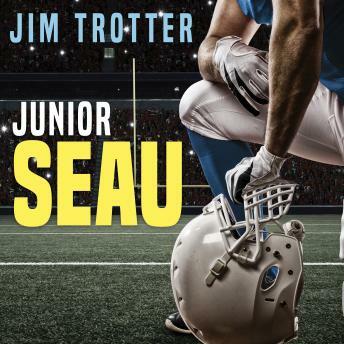 Drawing on exclusive access to Seau's family and Seau's never-before-seen diaries and letters, veteran reporter Jim Trotter goes beyond the statistics to paint a moving portrait of a larger-than-life star whose towering achievements in the game came at a great cost.